Nachosaurus Dip and Snack Set - What's Goin' On In The Kitchen? 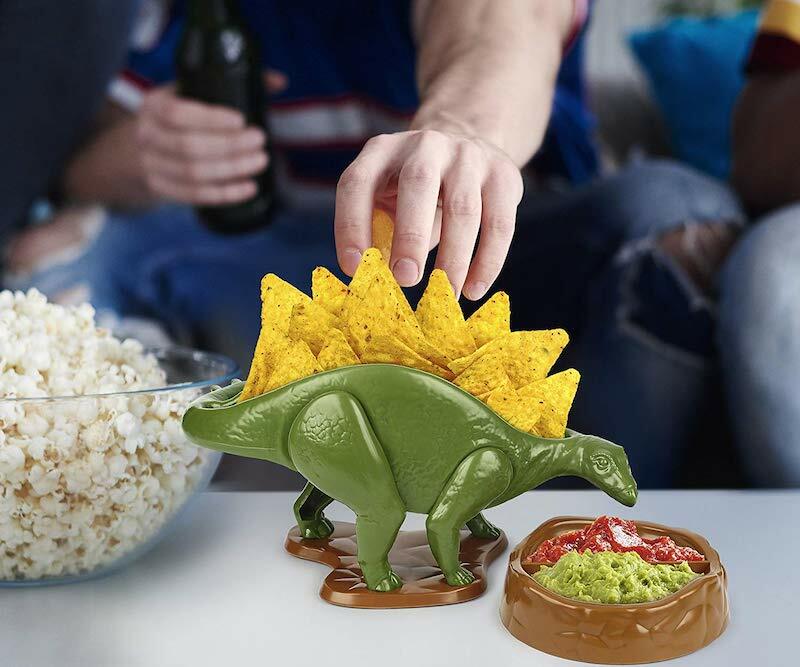 Enjoy your favorite nacho snacks with this prehistoricÂ Nachosaurus Dip and Snack Set. Taco Tuesdays will be Jurassic with this set, made from completely food safe materials. This set can be used for nachos, tacos, french fries, popcorn, nuts, pretzels and much more. This would make a great gift for someone who enjoys quirky and unusual food gifts. If you love this idea, then check out some of the other cool kitchen tools and gadgets I found here.